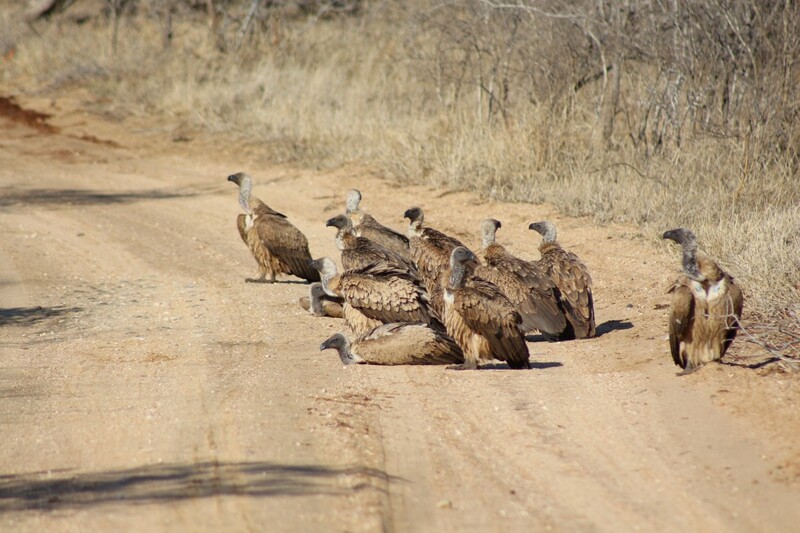 Some mornings it is possible to see a flock of vultures such as these on the ground. This is primarily because they are warming up after a cool night. Their large wing span means that they are too big to take advantage of the cover of tree top vegetation so have to spend the night in dead trees out in the open. The ground still holds heat, even if it is only a small amount, which they need in the morning. They will also settle on the ground for dust-bathing, a process whereby they run sand through their feathers to “wash” out any parasites that don’t have a firm grip. 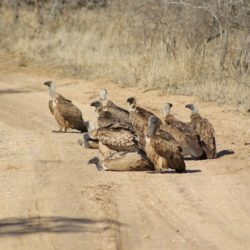 The vultures will generally stay on the ground until it is warm enough for them to use the thermals to get airborne – or until they are disturbed.